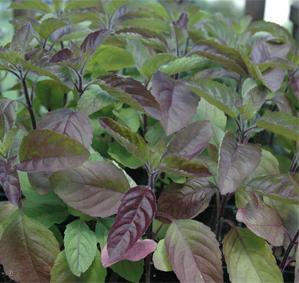 Tulsi ( holy basil ) is undoubtedly the best medicinal herb ever known. It has endless miraculous and medicinal values and is being worshipped in India since thousands of years. protozoa. Marked by its strong aroma and astringent taste, it is regarded in ayurveda as a kind of elixir of life and believed to promote longevity. Tulsi contains vitamin C and other anti oxidants, which protect the heart from harmful effects of free radicals. Vitamin C and other anti oxidants in Tulsi, apart from repairing damages done by the free radicals, can minimize the stress induced by these oxidants. They soothe nerves, lower blood pressure, reduce inflammation and thus reduce stress. Tulsi is very helpful in relieving headaches and body pain. It has certain properties that helps in releasing spasm in the muscles hence is extremely helpful in relaxing the body. Vitamin-C, A, Phytonutrients and the essential oils in it are excellent anti oxidants and protects the body from nearly all the damages caused by the free radicals. In traditional Indian medicine system called Ayurveda, it is considered as a tonic to retain youth and avoid aging.